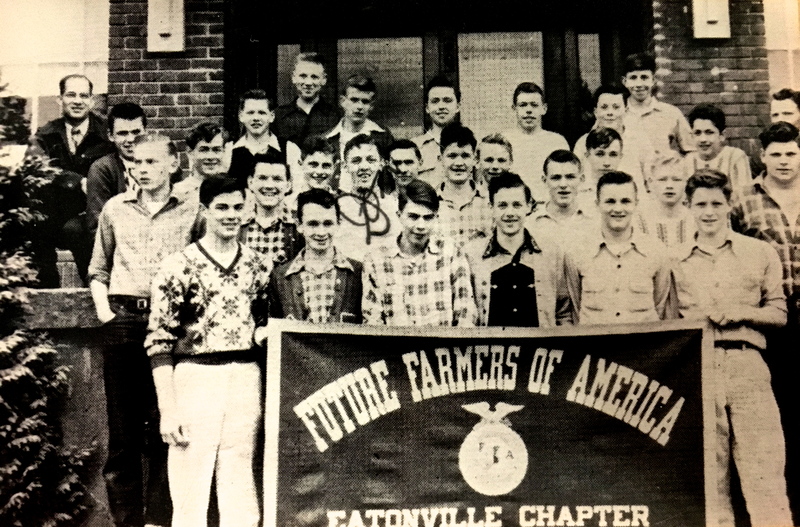 This one of the FFA (Future Farmers of America) was probably taken around 1947. 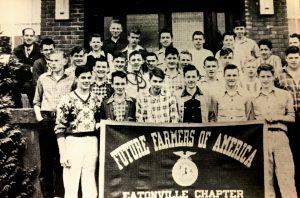 The guy in the top row, far left, is Louie Mettler. 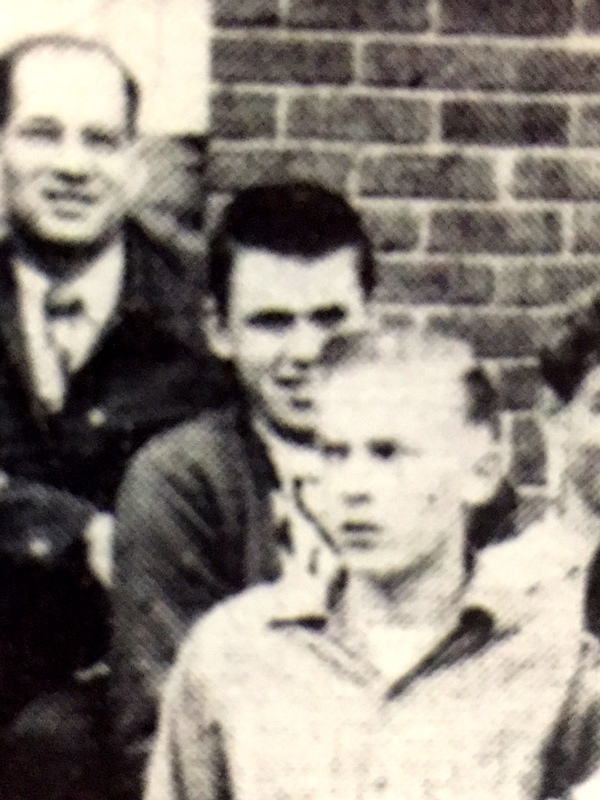 The young man right below him is Frank Hoffman. The others I don’t know. Please feel free share if you know their names. Row 1 3rd from left David Smith? Hope this helps. Maybe someone else can fill in the rest.